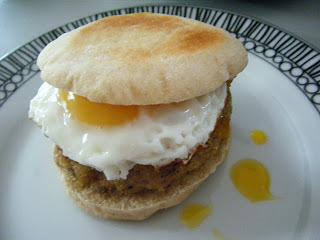 The maple sausage and egg mini English muffins were made for a special bank holiday brunch. 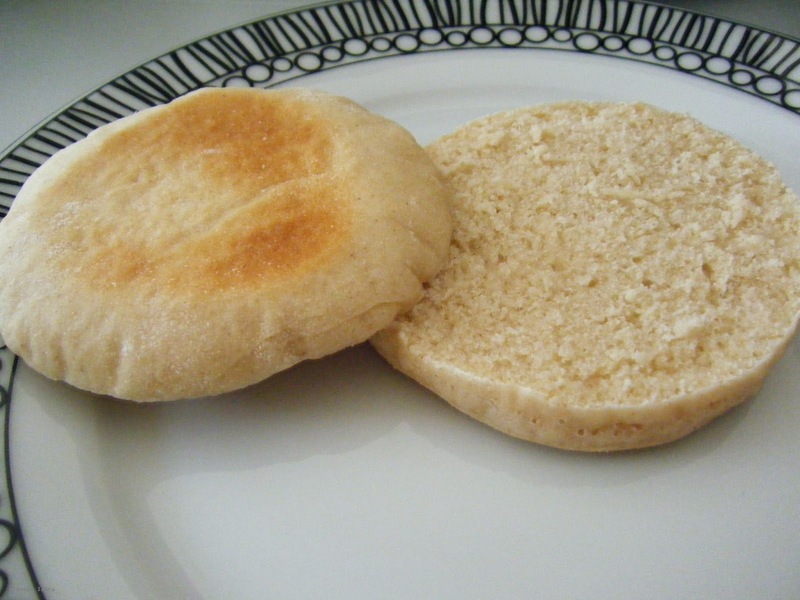 I'm partial to a take away muffin breakfast but when I have the time I much prefer to make my own. 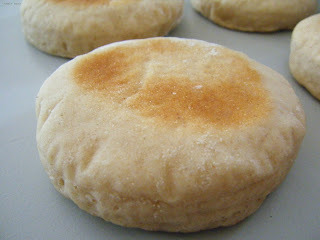 These scaled down muffins are delicious but presentation was a bit tricky. I made the muffins using a classic Deliah Smith recipe, I didn't have a 7.5cm cutter so I used a tin can. 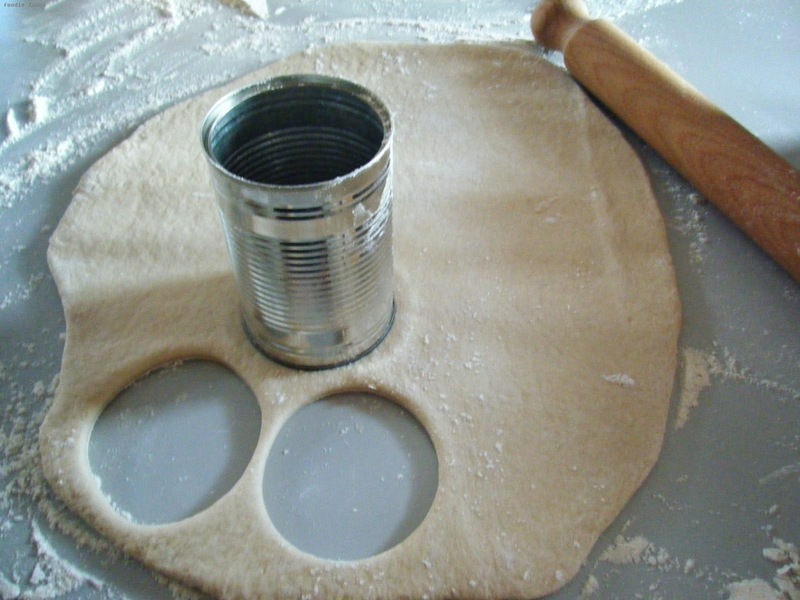 I've read about doing this before and it seemed like a pretty ingenious idea. 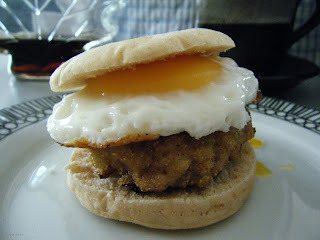 I planned to shape the sausage patties and eggs with the same tin to leave me with a neatly stacked, perfectly round mini breakfast muffin. It wasn't quite as simple as Pinterest would have you believe but I'm posting this attempt because all the flavours were there, it's only the styling that requires more finesse. Sprinkle 1 tablespoon of polenta for onto a small plate, this will be used for dusting the outside of the sausage patties. Mix all of the remaining ingredients into the sausage meat until evenly distributed. Roughly divide the mixture into 4 balls. 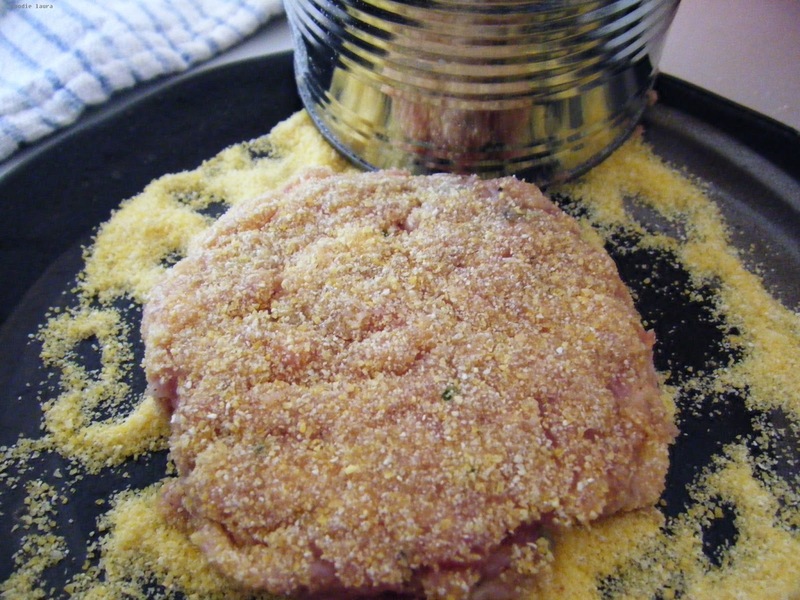 Take the tin can and cut out the burger patty, tear away any excess meat and add it to the remaining balls of meat. Roll the edges of the patty in the potenta too. 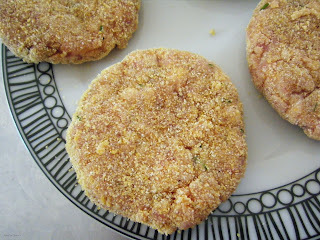 Coating the patties in this was gives them an extra crispy finish when frying them. Repeat this process with the remaining meat to make four burger patties. The patties are then fried over a medium heat, you will not need any oil in the pan as the fat from the sausage meat will be sufficient to fry these. To make a neatly shaped egg I greased the tin can with oil and placed it onto the frying pan and cracked the egg into it. The yolk cracked as it hit the pan but I think with a little more delicacy I could overcome that issue. 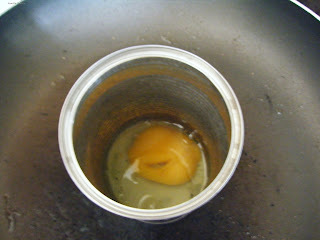 However, despite the can heating up the egg was not cooking evenly. I tried placing a plate over the top of the can to trap the heat in and cook the top of the egg which did work but I then could not get the egg out of the can, after running a knife inside the can, the whole egg fell apart. Back to the drawing board. Next, I tried frying the egg as usual and used the tin can as a cutter again. The left over white seemed a waste and the balance was off because the ratio of white to yolk was uneven. I did have roughly the shape and size of egg that I wanted so I went ahead and assembled my mini muffin. 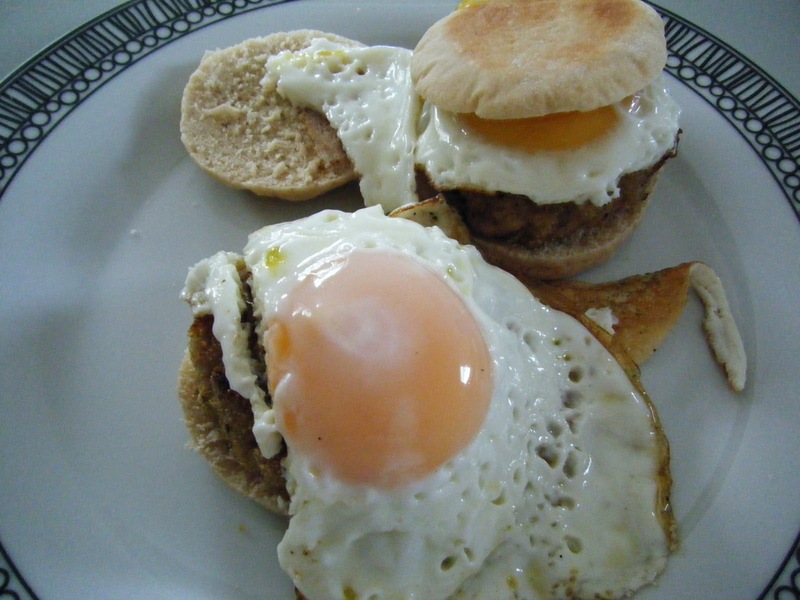 I then fried another egg and assembled the second muffin, I also added the egg white that I cut away earlier. I didn't get the tidy mini muffin but there was no skimping on taste, the hint of maple syrup and oniony chives in the sausage were a great sweet savoury combination and these messy mini muffins were very much enjoyed. Sometimes, fussing about with photographs and styling means the food gets a bit cold. These mini English muffins were rough and ready looking but so hot and tasty that nobody really minded.